The tournament was off to a flying start on Tuesday with Ecuadoran champions Barcelona SC’s Argentinean attacking midfielder Damián Díaz blasting one in from 22 yards out. Díaz has become something of a hero at Barcelona after a brace in Clásico del Astillero—Ecuador’s answer to El Clásico and Superclásico—against their city rivals Emelec. And what better way to celebrate his fantastic goal than by rushing to the stands to give his mother a kiss? (https://www.youtube.com/watch?v=jU9y8Cgb1Zo) His performance last season was indicative of the team’s as a whole, resulting in them winning their first league title since 1997. Their rivals on the night were Uruguayans Club Nacional. 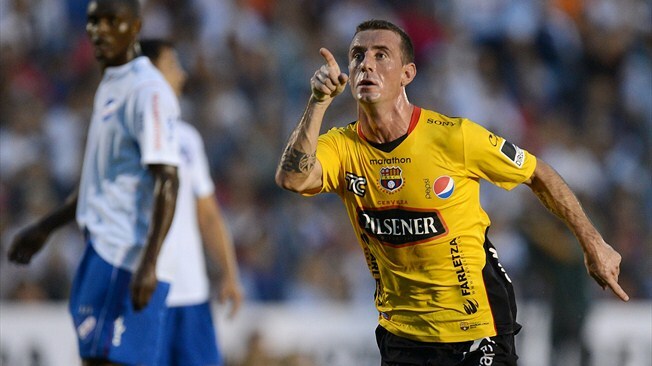 Nacional held Barcelona to a draw, and are obviously still trying to deal with the loss of coach Marcelo Gallardo. Gallardo, who has the unique honour of having won a trophy with every single club he’s ever played for, won the Uruguayan Primera División with Nacional as both a player and a manager. The six-time South American champions and runners-up last year were upset by Mexican side Toluca at La Bombonera. Toluca, whose domestic form has been tepid lately, were able to exploit Boca’s lack of defensive discipline to serve up a disappointing result for Boca, made even more disappointing now that four-time Copa Libertadores winner Carlos Bianchi is at the helm. All 5ft 4 of the 36-year-old grizzled veteran of Mexican football and former international player Sinha was instrumental in throwing the Boca defence into disarray, and Boca fans are left wondering how the match might have ended if their own legend, in the shape of Juan Román Riquelme, was sufficiently match fit to have started. The headline fixture of this week saw two of Brazil’s heavyweights lock horns. The game’s promise was more than lived up to, and has been the match that has garnered the most attention in the tournament so far thanks to this interesting goal (https://www.youtube.com/watch?feature=player_em) by Ronaldinho. Ronaldinho himself has admitted that the goal was lucky rather than deceitful, but São Paulo’s legendary keeper Rogério Ceni will be sorry that he was kind enough to let Ronaldinho wash his mouth out! Tangentially, Ceni, a dead ball specialist, is the highest scoring goalkeeper of all time; he’s put away over 100 freekicks and penalties in his 20-year career with the club. Ronaldinho, who had a poor game against England last week, was the difference in the game, setting up both goals. Meanwhile, in La Paz, The Strongest—who are a bettors dream for the number of goals they score in domestic competitions—managed to overcome lethargy and sloppy final-third play to beat nine-man Argentinean side Arsenal de Sarandí. A disappointing result from Arsenal, who should have been able to exploit the Bolivians’ glaring flaws. Arsenal come into the tournament having won their first domestic title last year, as well as their inaugural Supercopa. Arsenal might have been able to capitalise on The Strongest’s weaknesses had substitute striker Emilio Zelaya not been shown a straight red for a dubious tackle from behind. To make matters worse for the Copa Libertadores debutants, Zelaya added insult to injury by punching one of The Strongest’s players after his red (https://www.youtube.com/watch?feature=player_embedded&v=uHdMyZrDbm8). A disappointing debut for Arsenal overall, who had plenty of optimism going into the match. Elsewhere there were routine wins from Newell’s Old Boys, Universidad de Chile and Fluminense, a surprise win by Chilean champions Hauchipato over Brazil’s Gremio and a super strike from Patrick Viera (not that one!) 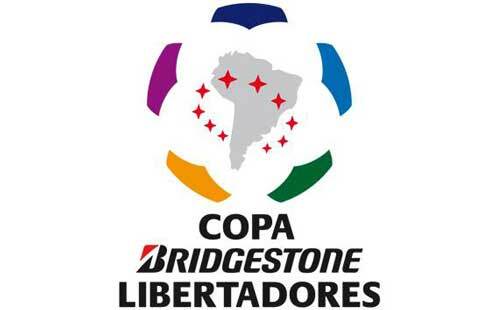 (https://www.youtube.com/watch?v=gPVYCCKU2ag) to take Palmeiras to victory over Sporting Cristal. This entry was posted in Analysis and opinion and tagged argentina, arsenal de saran, atletico mineiro, barcelona sc, boca juniors, bolivia, brazil, copa libertadores, damian diaz, ecuador, emilio zelaya, football, juan roman riquelme, mexico, nacional, newell's old boys, rogerio ceni, ronaldinho, sao paulo, south america, the strongest, toluca, uruguay by David Dodds. Bookmark the permalink.